In many ways, the 1950s and 1960s were the glory days of the churches of Christ in the United States. In fact, “Churches of Christ were heralded in the 1950s and 1960s as one of the — if not the — fastest-growing religious groups in America” (source: Christian Chronicle). Sadly, many seem to think we will grow that way again if we do the same things, in the same ways, that we did back then. And that’s one reason we’re not growing at the rate we did back then. 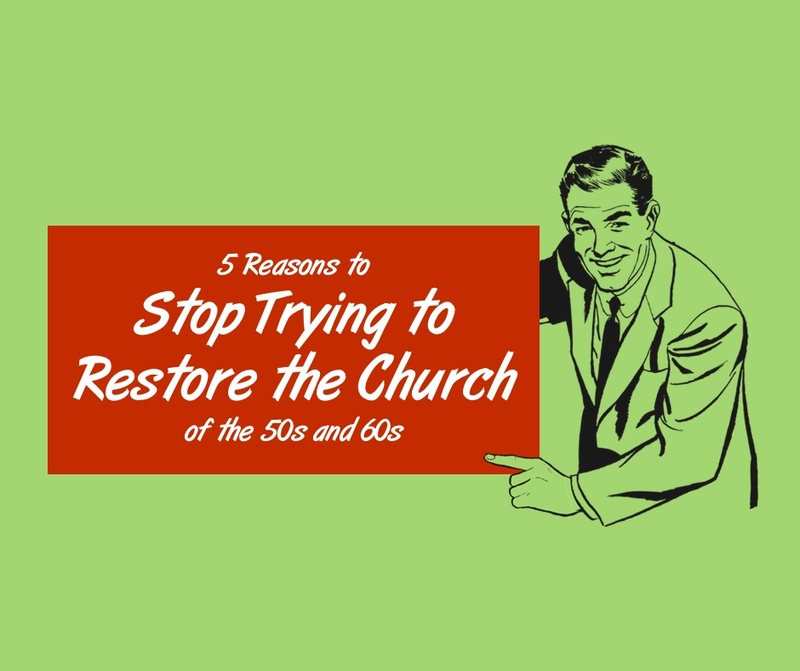 Here are 5 reasons we need to stop trying to restore the church of the 50s and 60s. 1. We need to focus on restoring New Testament Christianity. We grow when we remember that we are – at our very core – a movement. Our movement is not about restoring the church of the 50s and 60s, but about restoring New Testament Christianity. I don’t care how they did it in Tennessee or Texas is 1963, I care about how they did it in Jerusalem in AD 33 (or thereabouts). 2. They weren’t trying to restore the church of the 50s and 60s in the 50s and 60s. The church was growing rapidly at that time because they were willing to innovate. They were willing to use new expedient ways of reaching the lost for Christ. They weren’t stuck in decades past, saying, “Well, we’ve never done it that way before.” Or, “We tried something like that and it didn’t work.” If we want to grow, we must innovate again and use every means possible to share the gospel with the world. 3. They weren’t perfect in the 50s and 60s. We have a tendency to laud the preachers of the past and say, “Brother so-and-so believed this and preached this, and if it was good enough for him, it’s good enough for me.” With all due respect to “brother so-and-so,” he is not our perfect example. Jesus is our perfect example and we have to keep going back to, “What did Jesus say?” not, “What did brother so-and-so say?” Don’t limit your knowledge to what others knew. Learn from them and, if possible, grow beyond their understanding. 4. We don’t live in the 50s and 60s anymore. Our culture has changed drastically since the 50s and 60s and our evangelism methods must change too. Of course the gospel message doesn’t change, but the way we share it does. For instance, most people of my generation despise an uninvited stranger coming to their door to try to teach them something. And there may have been a time when putting, “Gospel Meeting This Week,” on your sign brought dozens of non-Christians to your building, but that time is gone. You can keep trying these same methods and be frustrated that they don’t work, or you can find new ways of sharing the gospel with your friends and neighbors. 5. We are giving the Lord’s church a black eye. When we use out-dated methods and materials to try to reach people, we send the message that we are out of touch with reality and culture. We must remember that we represent Jesus Christ and everything we do is a reflection on Him and on His church. I don’t think the Lord is pleased when we send the message that His church is “out of touch.” Let’s stop giving the impression that Jesus and His church are no longer relevant, simply because we don’t care enough to develop new methods and new materials to reach the lost. The bottom line is this, we need to have the discernment to distinguish between the things of the 1st Century and the things of the 20th Century. 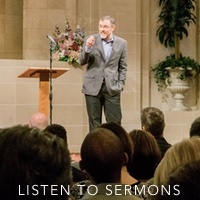 We need to ask ourselves some hard questions, like, “Are we doing this because it is what Scripture says to do, or are we doing this because they did it this way in the 50s?” Some of the ways they did things in the 50s and 60s are still the best way to do things, but some of those ways are no longer relevant or expedient. Do we have the wisdom to tell the difference between doctrine and tradition? I believe we do. I believe we can start to separate these things and begin focusing on restoring the church of the New Testament and not the church of the 50s and 60s.